A Kitchener tour operator says the cap-and-trade program is hurting his business. Larry Hundt with Great Canadian Holidays and Coaches says he’s had to implement a fuel surcharge for passengers recently in order to help offset the carbon costs. “We’re being charged just like everyone else, even though we’re here to help,” says Hundt. He says a motor coach is one of the most fuel-efficient means of moving people, especially since a full bus takes up to 50 vehicles off the road. “It would be nice that we were given a concession because we’re part of the solution,” says Hundt. Under the cap-and-trade program any company that produces more than a certain level of carbon dioxide must pay a tax. Petrolium analyst Dan McTeauge says by 2022 we could see a net increase at the pumps by as much as 12.6 cents a litre. Controlling carbon has been creeping back into the election debate and could still yet bring about more conversation. On Friday, six days before the provincial election, companies will have to submit their 2017 emissions. 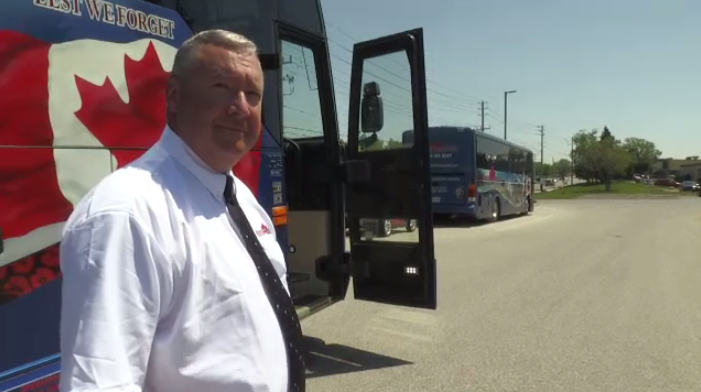 One Kitchener tour operator says the cap-and-trade program has taken a toll on his business.